I wanted to read The Hazel Wood because it has to do with fairy tales and I have been liking retellings and just the old fairy tales recently. I didn’t like it as much as I had hoped, but it was made up for with the pieces of Tales of the Hinterland in it. I loved those pieces. 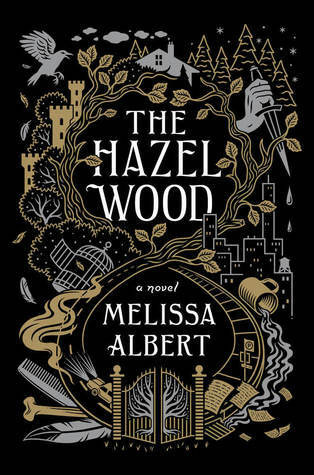 I give The Hazel Wood by Melissa Albert four out of five hearts because the idea behind the story is great, but the execution not as great. Melissa Albert is a great author. Every word she writes is the right one, but I felt the story was slow going and it didn’t pull the reader deep into it. I rather read something that keeps me wanting to get back to read instead of this surface skimming that Melissa did. I couldn’t connect to Alice and Ellery, they felt to far away and I didn’t get to know them as more than Alice, the granddaughter, and Ellery, the Hinterland superfan. There was almost no background information on the duo, except for the tat bit about Alice’s grandmother and her mother. Overall I think The Hazel Wood is original, not even a retelling, but something that stands on its own. And the twist at the end is also great. Melissa’s descriptions are lively and set the scene. But her character development could use some work. This entry was posted in Book Review and tagged Adventure, Book Review, Fairy Tales, Fantasy, Melissa Albert, Romance. Bookmark the permalink.